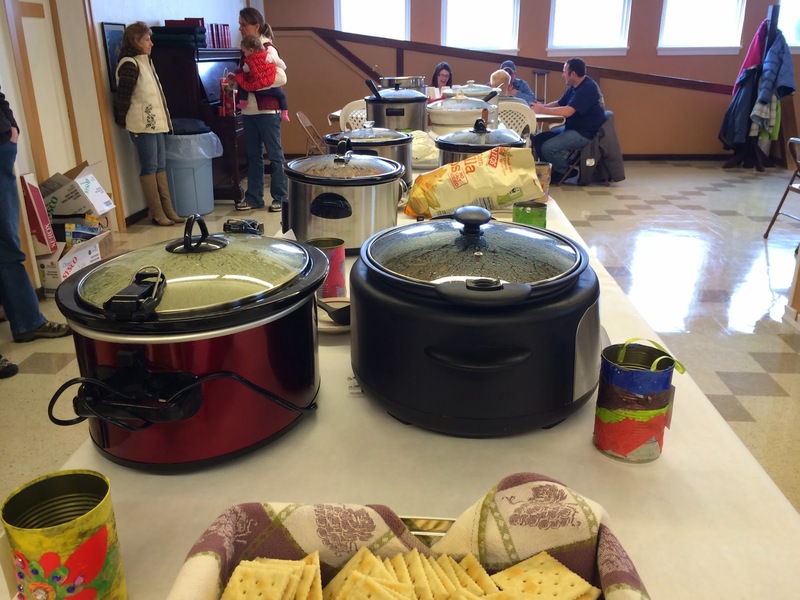 This last weekend Agape had The Soup Cook Off. We had a lot of fun. My Warrior Sisters worked hard to make the event something that the community would enjoy. They invited a lot of people, and they were fruitful in their efforts. This is the first event that we have had Agape t-shirts. 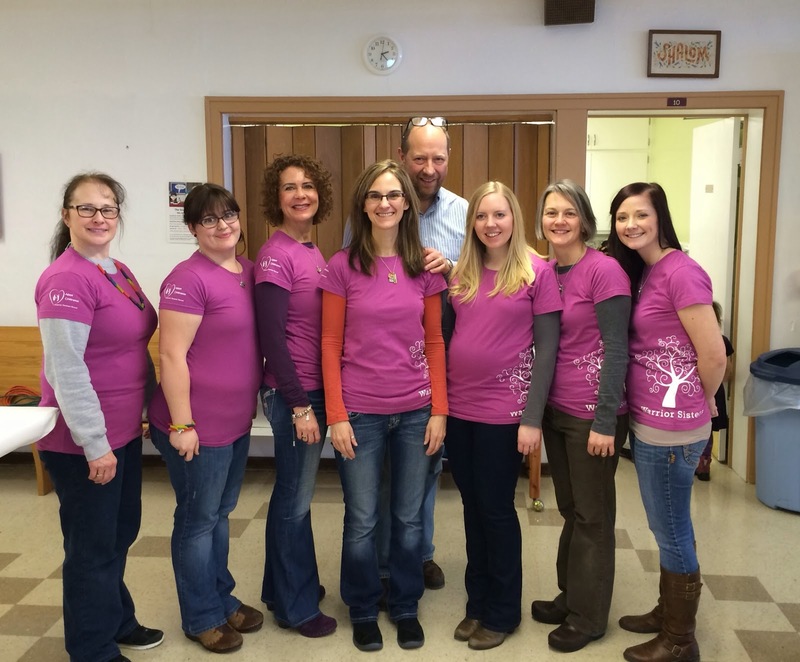 It was exciting for us to have matching shirts with our logo. It's exciting to me to see what God is doing with his ministry, and in his community. you can always depend on. Whatever God is sending me to do, I want to trust him so strongly that I cannot be moved. I want to trust that it is all in his Hands and I can depend on him. He will pull through, and he always has. Sometimes, I view things differently, which puts me at risk for disappointment, but if I am trusting in him, I will stay solid as a mountain and depend on him to get me through, and his heart will be evident. Jesus, I will Say That Again, You are the God I trust! Today was a nice day for me, and a difficult day. The nice part was a quiet morning at home, before going to be with a friend. After picking up my friend, we spent about three hours together, and it was a relaxing time. We went to a coffee shop for tea and scones, then had a delightful walk in the park. Today was a warm day with the sun shining on our faces. All the snow is melting and there are big puddles of water everywhere. As we went to cross a busy road, one car cruised through a huge puddle and I almost got another shower! It would not have been my best moment. As I was getting ready to leave this morning, my brother informed me that my mother had taken a fall, and she was being moved to the hospital. After testing, it was discovered that she had a bleed in her brain, and a broken neck. Fortunately, everything stayed in place and she is still able to move. The healing process will be long for her though, and painful. When I think of loosing someone, it is hard for me. I know what that feels like, and it's not good. I am not sure if there is anything that can be done to prepare for such a loss. There is a part of me that wants to go to my mother even though I know there is really not anything I can do. Then, there is another part of me that wants to avoid the pain I would feel and stay home. If someone were to ask me what that pain is, I don't know that I could tell them. It doesn't have a name, at least not today. Wasn't it just this morning that I wrote about a good season? It still is, but now it is laced with a fall. Now I am wondering if there is something more I could be doing. Now, I am asking God to shine light on my choices and shine light on my heart so I will know which way to move. Sometimes staying still, right in the same place is the best thing to do. Sometimes racing to the bedside of a loved one is the better thing to do. I do not know today. But, I do know that God is good, and He has blessed me with a peace that He is in control. I will rest in that. Even when there is a fall, it can be good. Even when I don't know what to do, it can be good, because I know God is good. In this prayerful moment I will Say That Again, Jesus shine light on the path ahead, for I know it will be good. My days are good right now, and I am liking this. Even in the midst of winter, my least favorite season, God has me in a season of good. It's a moment of stillness for me inside my heart, because I know that sometimes these seasons do not always last. I am still working through my Bible; doing a word study on light. In the NASS there are 200 passages with the word light. When I got to the book of Job, I was surprised to find so many passages that talked about light. Job was having some really bad days, and the first time light is mentioned he cursed the day he was born, saying that he didn't want light to shine upon it! Further on, he goes on to ask why light shines upon a man that suffers, or why is light given to someone whose way is hidden and God has hedged in? He describes how much he himself is suffering and how his own fear has come upon him. His days ahead are not good. Finally, after many conversations with friends, God confronts Job. God decided to ask Job some questions, He asked Job if He even knew what he was talking about! He asked him if he was there when he created the earth. He asked him if he has ever commanded the morning and caused the dawn to know its place. He asked if Job knew where Light came from and where Darkness lives? God asked him so many questions, it seems to me Jobs head would be spinning, then God wanted an answer. Job realized he was insignificant. He put his hand over his mouth and could not give God an answer to all the questions, he just said " Behold, I am insignificant; what can I reply to You? I lay my hand on my mouth." Then God asked Job more questions, and wraps it up by asking who can stand before Him? Who has given to Him that He should repay? Whatever is under the whole heaven belongs to Him! Job answers God after this acknowledging that God knows all things and His purpose cannot be thwarted. He admitted that he had lived with a head knowledge of God, but now he had seen Him with his eyes and heard Him with his ears. Job asked for forgiveness. God restored Job and brought goodness into his life, he had walked through a horrible valley of darkness back into light. And, it was good. I know for me, I have had some dark valleys. I have had days that it has been very difficult to see any light at all, and then as the light comes it can be painful. The light exposes areas in the darkness that cause pain, it brings awareness. But, then, God has a process through that light as I learn to give to Him whatever His Light has exposed, and it is good. Jesus, thank you for good days, and for walking with me in these good days. I will Say That Again, thank you, Jesus! Just over a year ago a good friend of mine died. After her death, I went back to her home to be with her sister for a few days. It was a quiet trip, we didn't go anywhere, or really do anything. We sat on the bed a lot and talked. Even though it was a sad time, I look back on it with sweetness. When it was time to come back home, I had in my hand a box of jewelry that my friend had kept in her drawer for many years. Most of it was old brooches. I knew I wouldn't wear them, but it was nice to have something that belonged to her. After a time, I decided to take the brooches and decorate a lamp shade. It turned out to be a unique project, and I like it a lot. Now, every morning when I get up and it's still dark outside, I turn on the brooch light, and I'm reminded of my friend. After reading this, I jumped over to chapter 22, I noticed that I had a bunch of verses underlined there. And, it fit right in with my word study! In the early morning, I can see the sun rise. It is beautiful. God's light begins to fill every crevice with light, soon my brooch lamp is not needed. The created light of God shines through. I have often prayed for God's light to shine through me. I want others to see Him, not me. There have been a lot of areas for God's light to illuminate inside of me, every day I find that there is another corner that needs His light. I am just a broken vessel, but He continues to bring all the broken pieces out of the darkened corners into His light, and it is very good. Sometimes, to stand still in God's light is uncomfortable. When I do that I am allowing Him to deeply root me inside of Him. When I stand still in His light, I am listening to Him, and giving Him my fears and my sin. When I stand still, I am admitting that I cannot control the situation. He sees me, I am not invisible to Him. He will shine through me, and still love me. When I stand still, the secrets cannot stay. Jesus, You are my Light, and I love you. Everyday You are a Light to my path. Say That Again to me, You will light my path!